I am back with another "My First...." post series. My previous post was about first beauty products that I own, and now it's about my first NYX products. Why NYX? 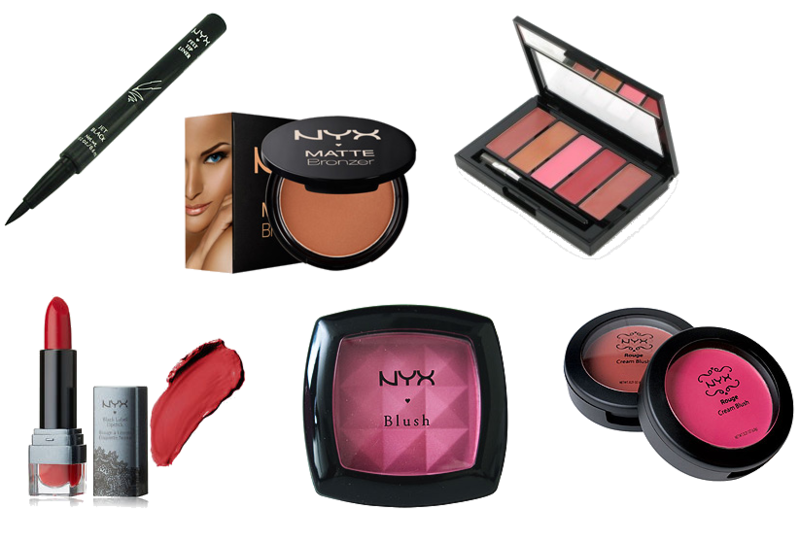 Because NYX is one of the first brand that I have when I was starting out with make up. After a while I have mixed feeling for these products, some I love, some are just so-so. With no further ado, lets get started! I honestly had a big hope with this eyeliner. But sadly, the color of this eyeliner is not black enough. And sometimes the ink wont come out even only using it few times, so you have to turn down the eyeliner, so all the liquid would go down to the tip, and after that you could use it again. The color of this bronzer reminds me of chocolate. It's very matte and pigmented. A little bit goes a long way. And one of my go-to bronzer. First of all, I am not a fan of lipglosses moreover lipglosses with palette packaging. I didn't know what got into my head when I bought this product. I probably mistaken this with lipstick palette or I just plainly cant read. Anyhoo, the formula is similar with lipstick but very sheer. One of my favorite lipstick line from NYX. Love the packaging, love the formula, love the color, love the scent, love everything about it! I am grateful for the willingness to keep move on and the heart that keep strong. ya ampun sayang banget... mungkin kepanasan kali lipsticknya ampe meleleh gitu.. eyeshadow nya cakeppp...aku punya yang palette n texture nya creamy banget..suka!